For years, Dutch Springs has been committed to helping organizations within the Lehigh Valley. Our community initiative, Dutch Springs Cares, will focus on assisting charities and service organizations that focus on aiding children and families within the Lehigh Valley. 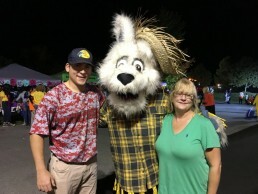 During the month of June, Dutch Springs partners with a number of non-profit organizations within the Lehigh Valley with a portion of qualifying ticket purchases being donated to the designated organization. Enjoy Dutch Springs Aqua Park and Sky Challenge knowing that you’re splashing and smiling for a cause! For qualifying ticket purchases to be donated to the below partners, guests must obtain a coupon specific to the weekly charity and present it to the Admissions Office at Dutch Springs. The coupon entitles the guest to a discounted admission to Dutch Springs. For every ticket purchased, Dutch Springs will donate a portion of the proceeds to the designated charity on the coupon. Coupons may be obtained from the charity directly or through Dutch Springs Facebook page and email blasts. Equi-librium – Equi-librium provides children with developmental and neurological disabilities with accessible and affordable physical therapy through equine-assisted therapy. YWCA Bethlehem – YWCA Bethlehem’s mission is dedicated to eliminating racism, empowering women, providing for girls, women, and families, and promoting peace, justice, freedom and dignity for all. Dream Come True – Dream Come True fulfills the dreams of children who are seriously, chronically or terminally ill and reside in the Greater Lehigh Valley PA area. BEST, Inc. – BEST, Inc’s mission is to aid students in need of financial assistance to fulfill their dreams and goals of obtaining a college education. CureSearch for Children’s Cancer Lehigh Valley – CureSearch for Children’s Cancer’s mission is to end children’s cancer by driving targeted and innovative research with measurable results in an accelerated time frame. CHILL OUT with Dutch Springs and Habitat for Humanity Lehigh Valley and take a quick dip in the lake to help build homes, communities, and hope! It is a great opportunity to meet others in the community who want to make a difference. 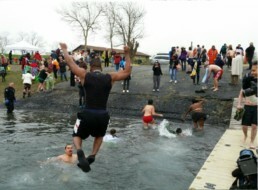 Dutch Springs plays host to Habitat for Humanity Lehigh Valley’s Plunge for a Purpose annually each winter. See our events calendar for this year’s date! 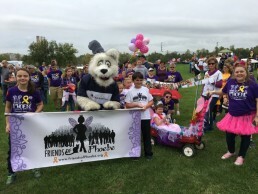 Each October, Dutch Springs teams up with CureSearch of the Lehigh Valley for it’s annual fundraiser walk. Join us as we celebrate and honor children from the Lehigh Valley area who have been affected by children’s cancer. This special day will include prizes, music, food, and fun activities for the entire family! For more information on this event, please visit CureSearch of the Lehigh Valley’s walk page. The Wounded Warrior Project, along with the Hanidcapped Scuba Association (H.S.A.) makes its annual visit to Dutch Springs for a two-day event which is designed to keep veterans active. At the conclusion of the two-day event, each veteran is scuba certified. In coordination with the Wounded Warrior Project, Stewart Snyder III, P.A.D.I. Master Instructor and H.S.A. Course Director, and his team work with U.S. veterans to help give them a sense of worth, ability, fun, and purpose. Following a 15-hour course of instruction, participants complete a number of open water dives to obtain their certifications. Dutch Springs has joined The Miracle League of the Lehigh Valley for its annual Halloween Bash, held at Jaindl Family Park. Trick-or-treating can often be unpleasant for many Miracle League players. Houses are often spread far apart and walkways to doors are often long and may include steps that many of the children are unable to handle. This event allows Miracle League to bring the neighborhood to the players! Dutch Springs and many area organizations come together and decorate stand and tents in fun themes to ensure the players get the feel that they are trick-or-treating in a neighborhood! Many guests dress to match their theme, as they hand out candy and treats to the 450 children and parents that enjoy the event.